Isidore Jules Bonheur (Bordeaux 15 May 1827 – 10 November 1901 Paris), best known as one of the 19th century’s most distinguished French animalier sculptors. 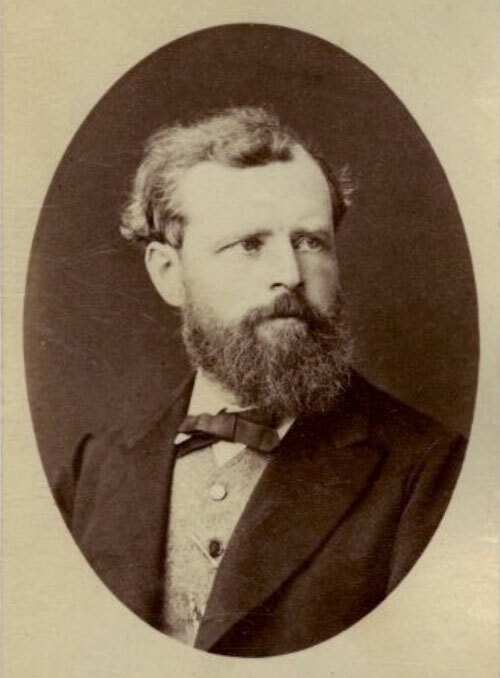 Bonheur began his career as an artist working with his elder sister Rosa Bonheur in the studio of their father, drawing instructor Raymond Bonheur. Initially working as a painter, Isidore Jules Bonheur made his Salon debut in 1848. He studied painting at first, enrolling in 1849 at the École nationale supérieure des Beaux-Arts, though he made his debut at the Salon (Paris) in 1848 (a Cavalier nègre attaqué par une lionne, plaster, and a drawing of the same subject) and exhibited regularly until 1899. He won medals in 1859, 1865, 1869, took part in the Exposition Universelle (1855), exhibited in London at the Royal Academy of Arts in the 1870s, where he gained great success with equine figures and groups, and won the coveted Médaille d’Or (gold medal) with a sculpture entitled Cavalier Louis XV at the Exposition Universelle (1889). He won a silver medal at l’Exposition [Historique?] de Madrid in 1892, a gold medal at the Exposition Internationale d’Anvers (1894). He had given up painting in favor of sculpture early on in his career, though he was noted primarily for his small animalier groups. His studio (atelier) was located at l’Impasse du Moulin Joly, on the corner of rue du Faubourg-du-Temple in Paris. Bonheur was an acute observer of nature; his animals were not anthropomorphized, but modelled to catch movement or posture characteristic of the particular species. He achieved this most successfully with his sculptures of horses, which are usually depicted as relaxed rather than spirited, and which are among his most renowned works.